Hi there, arrange to service my motorhome or campervan right here. 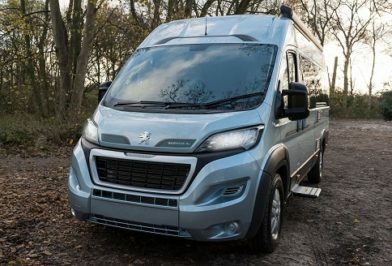 In fact, here you are able to select a service or repair to your motorhome or campervan online. 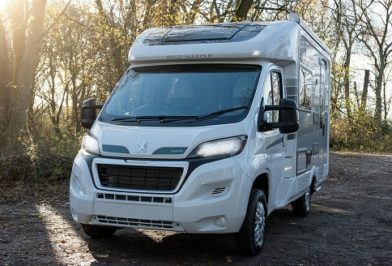 In addition, we service and repair most makes and models of motorhomes and campervans. So, we like to think that we can keep your motorhome or campervan in tip top condition. Also, all of the work is done onsite here in our Derby service centre. However, we mainly do work on Auto-Sleepers that we specialise in. Because, being an Auto-Sleeper main dealer we generate a lot of work from our sales customers. But, rest assured no job is to large or small, we value your custom and want to make sure that we are able to help you. Also, we carry out all sorts of Auto-Sleepers service work. In fact, we are fully Auto-Sleeper approved for warranty work and can obtain the genuine parts. So, even if we did not supply the motorhome or campervan to you, we will carry out any warranty work. In addition, to help us book you in, just fill in the form and we will come back to you ASAP. If for any reason you do not get a reply within 24 hours, please contact the main service reception desk. What would you like done? As soon as we have your request for the work to be done, we will contact you and confirm an appointment. In fact, we aim to reply the following working day. Also, for more information on MOT tests please see the information on the UK gov website. We charge £50.00 for an MOT. Mechanical and Habitation services. We will be happy to carry out the standard habitation services. The mechanical service is manufacturer model dependant and we will be happy to quote via a POA. Retrofitting Accessories. Also, we retrofit things like bike racks, solar panels, media packs, winter packs, tracking devices and many other good accessories. So, please feel free to try out the “service my motorhome” online appointment services. If you are in need of a part then let us know especially if it is for an Auto-Sleeper motorhome. We will quote you to fit a part as part of our services. We supply leisure batteries. So, let the power be with you, we can supply and set up most types of leisure batteries. Also, checking that your existing set up is working correctly we will be happy to quote you. Professional valeting and paintseal protection at your service here in Derby. Helping customers, to clean those difficult areas like the roof for example and power washing all the difficult areas. We know that having a professional valet, is all about getting into those places, that are hard to access. Having your motorhome paintseal protected, maintains the condition, both inside and outside treatments are available. Also, we arrange to have your interior and exterior Paintseal protected. In addition, we will be happy to quote you for any of these services. If you are uncertain about a repair and its cost, then please contact us and we will discuss the quote in detail with you. In fact, this has become a very popular service, as more people see how winter protection adds value to your motorhome. The world of communication and media services are filled with entertainment and we will be happy to advise and quote you for media packs. So, remember if you need help on any service topic, we are more than happy to help you at any time. Hence, this is all part of the Derby motorhomes services. So, just select the service or repair you want, tell us a suitable date and we will come back to you. Many thanks for your enquiry about service my motorhome; In addition, we may have a new name but the service remains the same! Service my motorhome is provided by Derby motorhomes the online service from Motor Plus Derby Ltd.